In 2013, something more exciting happened that is closely related to Pixelmator development. We moved into our new office. I won’t bore you with the details, but I’m very happy that after a long search, careful set up, and vigilant testing we now have the best office to develop the world’s best image editing app for Macs. Very stylish, I like it. Merry Christmas to the Team. One of the coziest office i have ever seen! Looks like a cool place to work….nice Steve Jobs poster ? 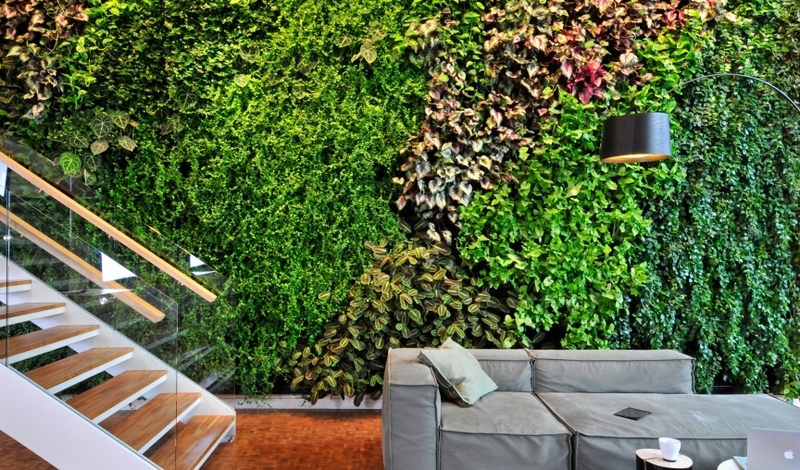 Is that indoor hedge real plants? It looks amazing. Bellissimo !!! Favoloso !! Complimenti ! its Nice and comfortable environment i have ever seen. Sweet! Congrats on the new digs! Haha, I’m afraid March will also be considered “early next year”. But yes, it would be nice to be surprised. Could you please tell me (in PM if needed) where you bought the stuff on the shelf? – the “mini” Wall-E, EVE etc. Wow, amazing space! Good work, I love Pixelmator! It’s not often just the look of an office make me want to work somewhere. This place does! Wonderful! Almost on par with Pixar for me! So many great details and that cool ‘plant wall’. Just great stuff! And thanks for a wonderful app! When is Pixelmator going to get 16bit per pixel image processing on Macs other than new Mac Pro? Paul Granone, 16-bit per channel support will be coming with later Pixelmator update. What brand are those lamps on the shelves? The office like a tweet home.